A profitable business requires making sound business decisions based on data — and that data should not only be accessible, but also integrated with all aspects of your business. While your nursery might function well with abundant crops and steady customers, it’s still worth taking the time to understand whether your information technology (IT) system or systems are providing you with adequate support and the necessary tools to streamline operations. The major benefit of a fully integrated system is that you have all your data — accounting, sales, customer relationship management (CRM), logistics and production — in one easily accessible place. One telltale sign that you’re ready for a system upgrade is if you conduct critical business functions outside of your current system — data analysis in Excel or Access, for instance. If you have to dig through the data to manually pull together reports on your most profitable product, the region that performs best, or which customers place the biggest orders, then your business would undoubtedly benefit from an enterprise resource planning (ERP) system. The answers to those fundamental operational questions should be easy to come by with an ERP system. The ability to manipulate the data has incredible value because those answers will give you a better overall sense of your business and lead you to making better decisions, which in turn directly affects your nursery’s profit. The number one pain point we’ve seen our clients face stems from inventory management and valuation. Inventory management typically involves a lot of paper documents and heavy reliance on spreadsheets, which can make it difficult to quickly understand where a farm’s inventory is, its value and how much is available to fulfill orders. Being able to track movement and locate plants within a planting field is a critical need for any nursery or farm. An integrated system can allow individuals in fields to use mobile devices to capture inventory movement and specific attributes, such as height, size or grade. With a product that’s sensitive to the unmanageable elements of nature, your system also needs to be able to understand that just because you have a plant, it doesn’t necessarily mean it’s ready to be shipped. A robust inventory management system that’s flexible enough to store multiple item attributes is vital for any operation. Similarly, applying appropriate costs to the inventory to derive accurate inventory valuation is important as well, since it directly affects your bottom line. Production planning and scheduling. Forecasting is notoriously difficult in this business. Will you have enough product to fulfill an order? It’s important to space your production, ensuring that you’ll have enough plant material available at the one-year and two-year marks. An integrated system can block out or hold one-year plants for the next year according to demand. Royalty management. When you collect royalties and pass them through to the licensor, this data needs to be captured separately in your accounting processes. You also have to delineate what to charge the end client and what to pay the licensor. The issue boils down to tracking, and an integrated system can do this with ease. Lot tracking. This isn’t necessarily linked to accounting, but it’s a vital element for food and agriculture clients. It’s becoming more important to capture and track information on which farm and location within the farm the plants were produced. A modern, robust IT system can help farms capture the data necessary to manage lot traceability. Nowadays, the core ERP systems are much more flexible and stable with backing by bigger players, such as Microsoft and SAP, but you will have to forego some needs specific to the nursery and agribusiness industries. Accounting. What kind of information do you need from these numbers? What are your standard processes? To what degree are cost allocations needed to accurately portray product margins by location? Farm operations. What are your needs as far as production planning and scheduling? What about packaging requirements? Inventory management. Can you better organize and analyze your stock-keeping units (aka SKUs)? Can you easily assess the value of your inventory? For an analytical person, the true payback kicks in when you’re able to compile and analyze the data you’ve collected over the course of three or four years for business intelligence. Capturing specific data. High-tech farms might want to compile their water usage, nutrients in the soil, the amount of sunlight reaching the plants, or the actual growth of the plant. Once that data is captured, then you can analyze it and make adjustments along the way. Even if you have a standard ERP, you can typically integrate this type of technology without having to purchase a new system thanks to application program interface (API), which promotes compatibility between systems. Radio frequency identification devices (RFID). When it comes to inventory management, businesses typically scan barcodes, which is a manual process. However, RFID automates that step by reading the code when you move the plants, reducing data entry. Running a business can be hard. The system that matches your needs will help alleviate some of the pressure by keeping track of products, inventory, orders, shipments and accounting. It also gives you the necessary data to make informed decisions as you move your business forward. 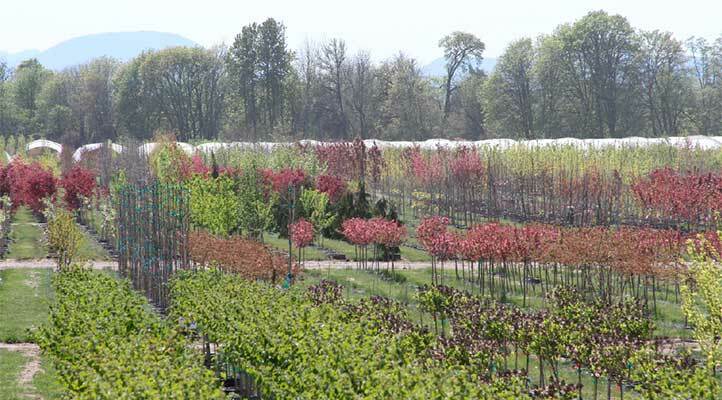 If you’d like a system that’s better tailored to the nursery industry, that’s an option; however, understand that it might not be able to keep pace with the rapid evolution of today’s technology. Ultimately, this streamlined approach will free up your time to focus on the business as opposed to problem solving or manually organizing. Technology is a beautiful thing when utilized to its utmost capabilities.